Moroccanoil Treatment Original Hair Oil is a remedy for damaged, dull and thin hair. Your hairstyle will look healthy again, your strands will gain gloss whereas hair bulbs will be stronger. 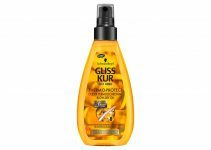 The product reduces hair loss, stimulates its growth, moisturises and nourishes. The oil contains antioxidants which fight free radicals, therefore holds down hair greying and protects from damaging substances. Moroccanoil Treatment Original Hair Oil smooths frizzy hair, detangles and makes styling easier. 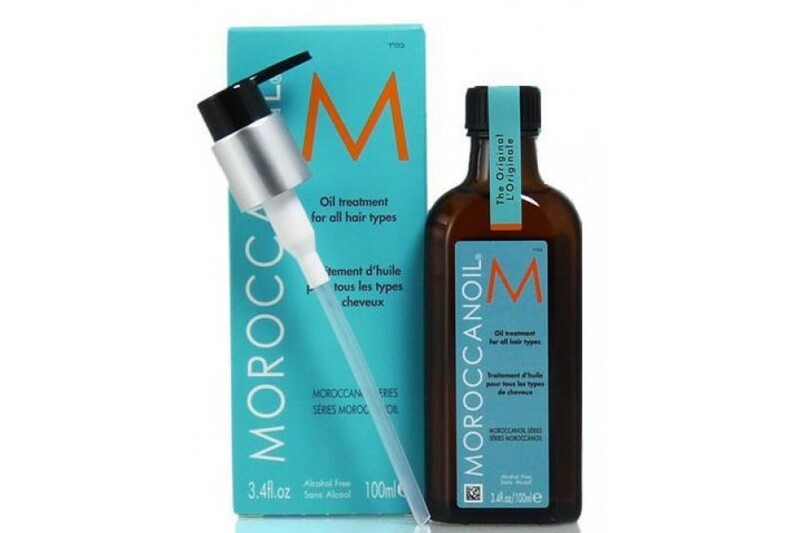 How to use Moroccanoil Treatment Original Hair Oil? Apply one or two pumps to clean and damp hair, starting from mid-lengths. Blow-dry with a cold air flow or let it air-dry. 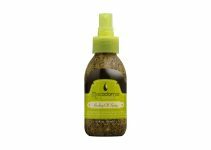 Apply a few drops of the cosmetic to dry strands for smooth and shiny hairdo. You may as well mix the oil with your favourite mask or conditioner. Moroccanoil Treatment Original Hair Oil is also effective in an overnight repairing and nourishing treatment or as a styling product. What does Moroccanoil Treatment Original Hair Oil contain? Argan oil, rich in vitamin E and antioxidants, is the major ingredient. These substances provide hair with proper condition and beautiful look. Argan oil smooths, adds shine and nourishes. It also includes omega-3, omega-6 and omega-9 fatty acids which are beneficial to hair bulbs and scalp. Useful information: Moroccanoil Treatment Original Hair Oil has a yellow colour and delicate yet pleasant scent. The consistency is quite lightweight; it neither sticks nor leaves a greasy layer on the surface. You can choose between different capacities: 10 ml, 25 ml, 50 ml and 125 ml. Fun fact: What do goats and argan oil have in common? Argan fruits are goat’s delicacy. When fruit grow, shepherds protect the trees against these animals so that argan oil can be extracted and used in your hair and scalp care.